Augusta - Tiger Woods won't be the only big winner if he finishes on top of the leaderboard at the Masters. The unidentified gambler placed an $85 000 wager on Woods on Tuesday to win the Masters. 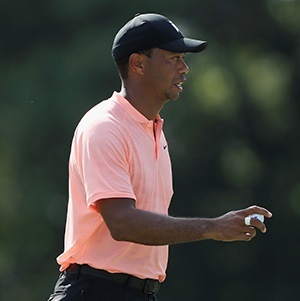 The bet was made at 14/1 odds, meaning the bettor will walk away with $1 190 000 if Woods wins. Rory McIlroy is the betting favourite for the Masters, listed as a 7/1 pick at William Hill. Dustin Johnson is at 10/1, followed by Woods and Justin Rose. The longest odds in the field? Bettors can win $20 000 on a $10 bet if Viktor Hovland somehow wins the green jacket. Hovland, a Norwegian amateur who plays at Oklahoma State, is listed at 2 000/1.